The MSPDP offers four major kinds of resources to teachers: textbooks, a teacher's guide, videos and supplemental handouts. All of the resources on this page are free and may be shared with attribution. If you generate additional resources (graphic organizers, syllabi, etc.) that you wish to share with the community, please email them to MSPDP Co-Director Kate Shuster (kate.shuster[at]gmail.com) for placement on this page. Speak Up! is our brand new textbook, suitable for middle and high school students. 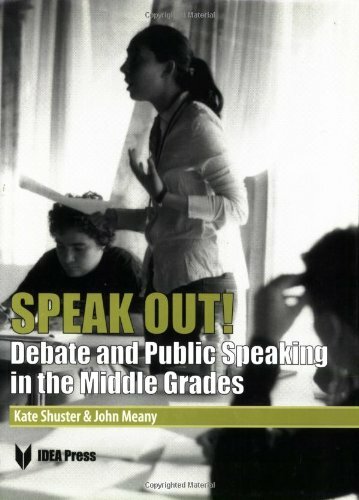 Still in print - the world's bestselling middle school debate textbook - Speak Out! - a comprehensive guide based on the original rules. 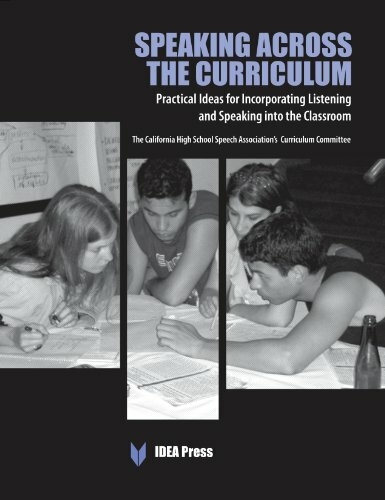 Speaking and listening strategies for classes across the secondary curriculum - written by teachers for teachers. Garden State Debate League President Dee Burek has assembled a series of lessons showing how skills learned through the MSPDP meet the Common Core State Standards. Read about the CCSS match in Voices from the Middle. Sponsored by the English-Speaking Union and the Middle School Public Debate Program. Topic: The United States should abolish the death penalty. Teacher Anne from Lenana Primary School in Narok County, Kenya speaks about the impact of the Public Debate Program for her students. A student at AIC Primary Girls School in Kajiado, Kenya speaks about how the Public Debate Program has impacted her. Sample debate. Topic: Television is a bad influence. Decision and Commentary for a sample debate. Topic: Television is a bad influence. Three middle school teachers and league presidents in the MSPDP discuss what it's like to manage a middle school debate league. Featuring Katie Ward (Polytechnic School), Lee Harris (St. Mark's School), Kate Shuster (Co-founder MSPDP), and Greg Paulk (Desert Springs Middle School). The 2006 National Championship Debate. Topic: Pakistan is more an enemy than an ally. Prop: Marlborough School (CA) Opp: Canyon Hills Junior High School (CA). Sponsored by the Middle School Public Debate Program. 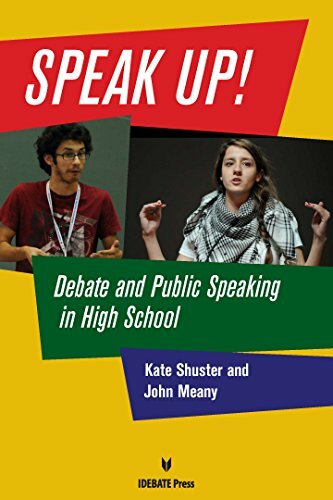 All content is copyright of the Middle School Public Debate Program.